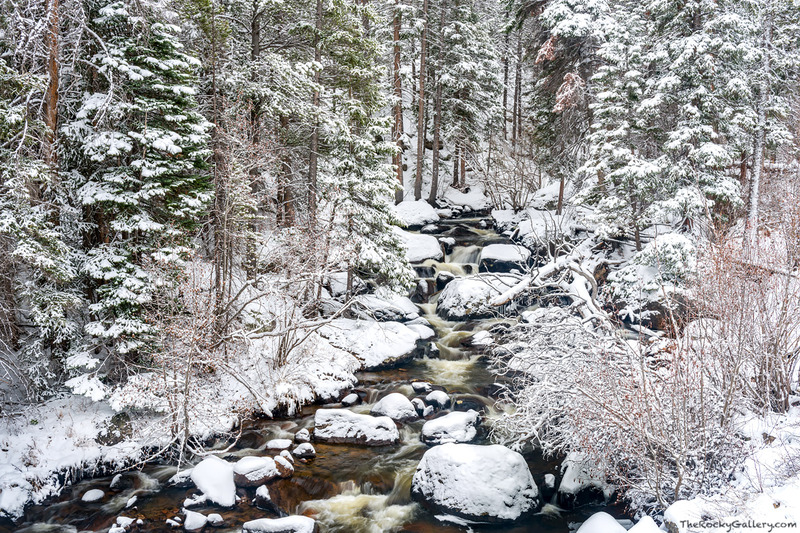 A later April spring snowstorm has covered the banks of Glacier Creek turning Rocky Mountain National Park into a winter like wonderland. I love these late spring storms over Rocky becuase the streams have thawed out after a cold winter and the heavy spring snow sticks to the tree's along Glacier Creek like glue. Photo © copyright by Thomas Mangan.